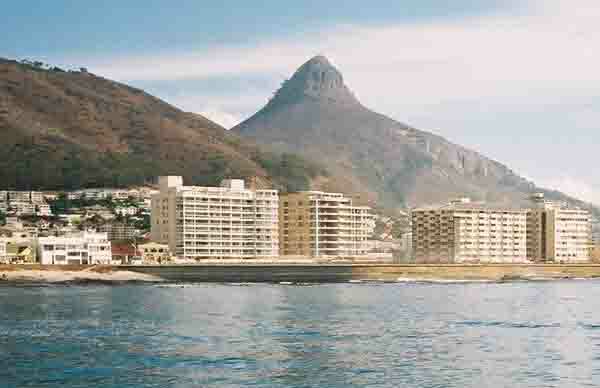 Sailing northwards we pass the entrance to Granger Bay which is about to be closed to boatsdue to the construction of residential units along the coastline. 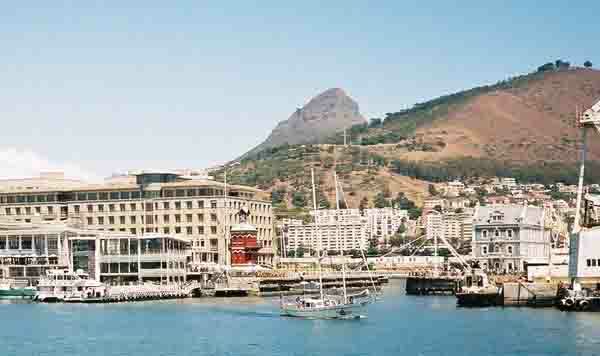 In the background is Signal Hill. 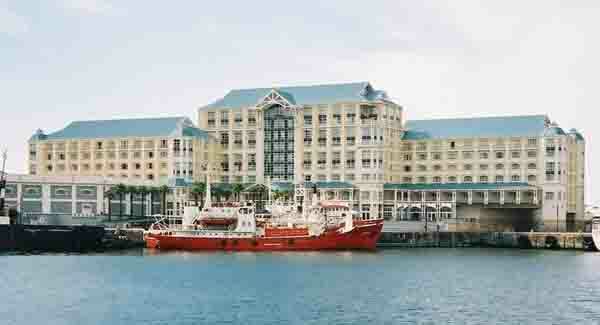 This cruise was part of a film shoot. 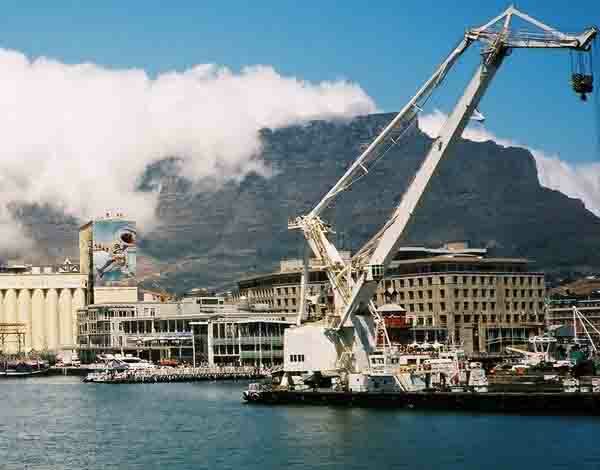 The chase boat is in the foreground and if you look carefully you will see the photographer hanging over the side trying to take some pictures. 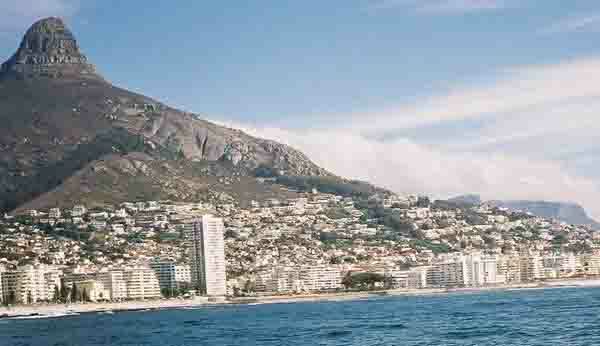 Signal Hill and Lion's Head with the Green Point coastline in the foreground. 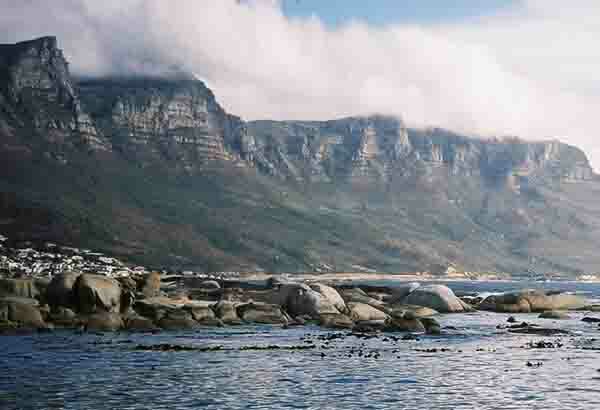 On the right in the water you can see part of an engine block of one of the many ships wrecked along this piece of coastline. 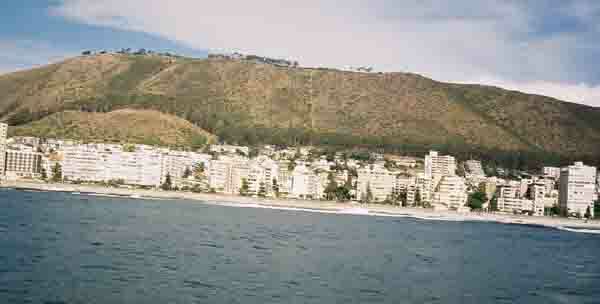 Green Point. 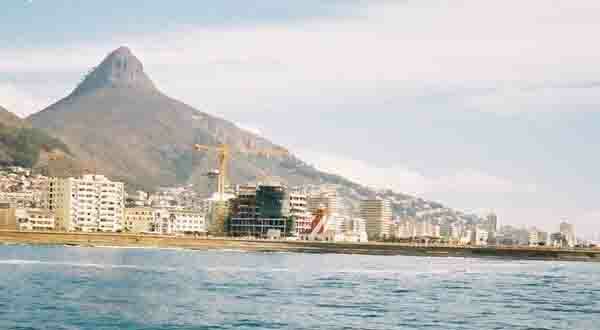 In the centre of the photograph you can see a building with red and white diagonal lines. 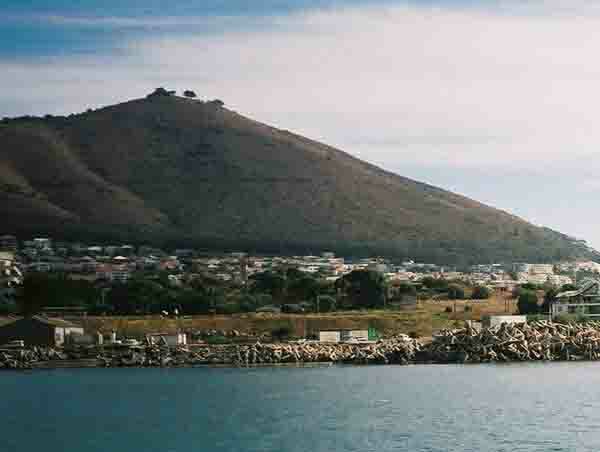 It is the Green Point Lighthouse. 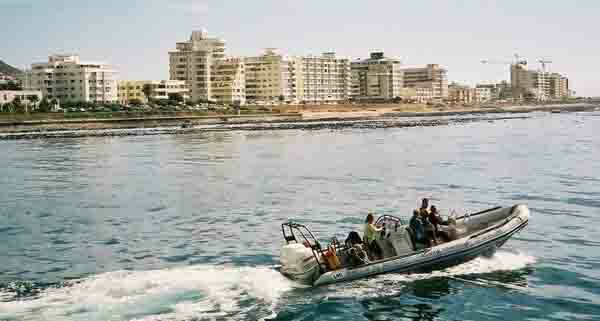 Here we are sailing over the burial ground of the Seafarer. 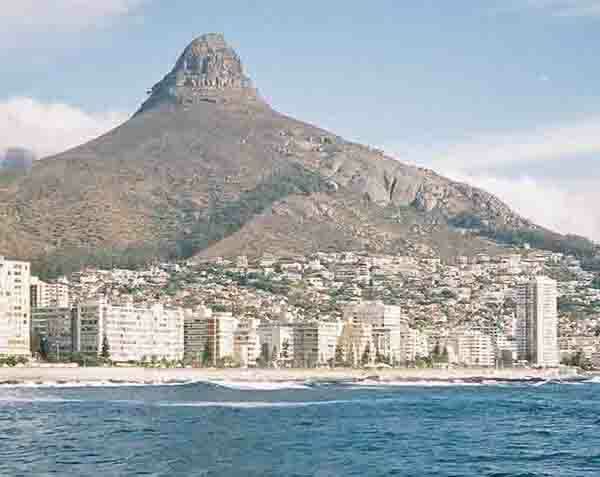 In the background Table Mountain is just coming into view over the rump of the lion between Signal Hill and Lion's Head. 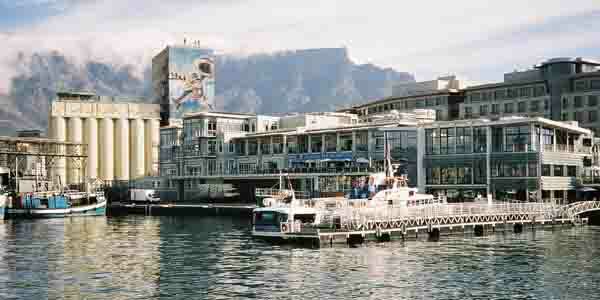 Table Mountain in the background with its famous table cloth. 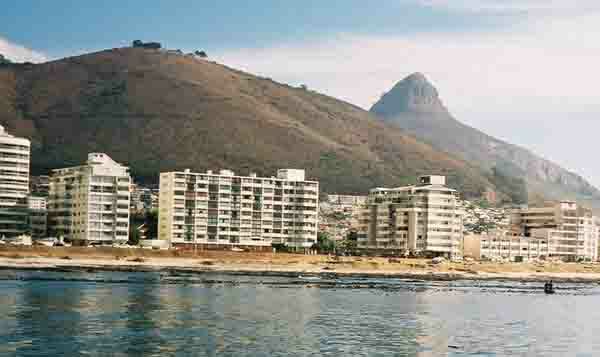 In the foreground we are just reaching the outskirts of Sea Point. 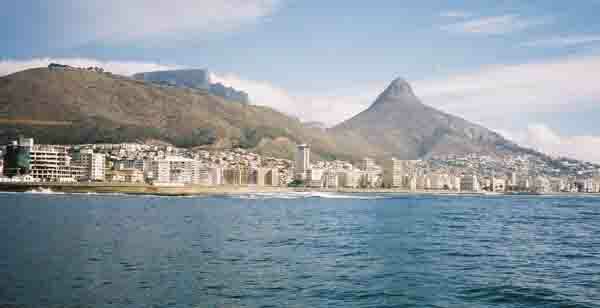 We are just passing the northerly point of Table Bay and starting to sail towards the south. 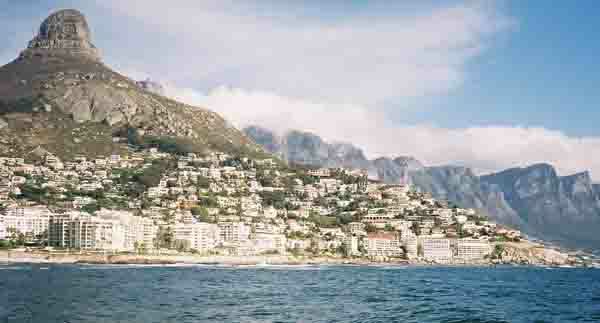 In the background is Lion's Head with part of the millionaire's mile of houses and apartments clinging to its slopes. 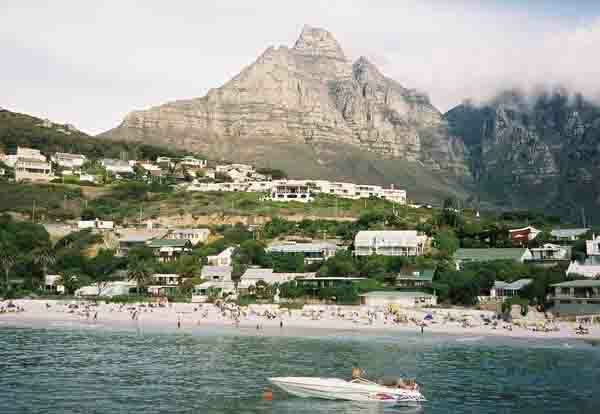 Some more of millionaires mile with the Twelve Apostles in the background. 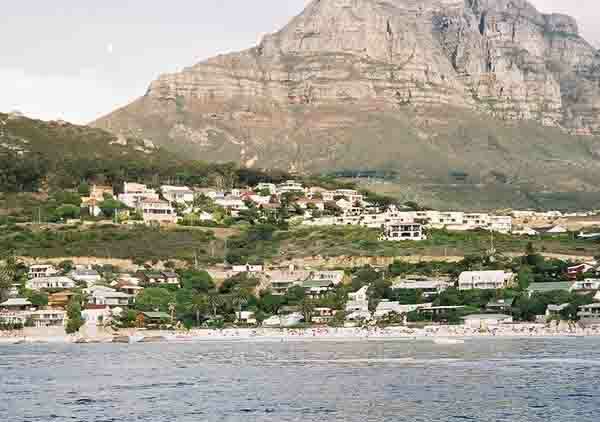 We've rounded Lions Head and are sailing southwards along the Atlantic coastline of the Cape Peninsula. 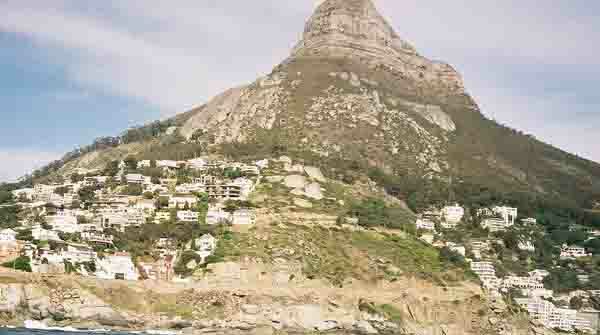 Some of the boulders you will find in the bay off Clifton. 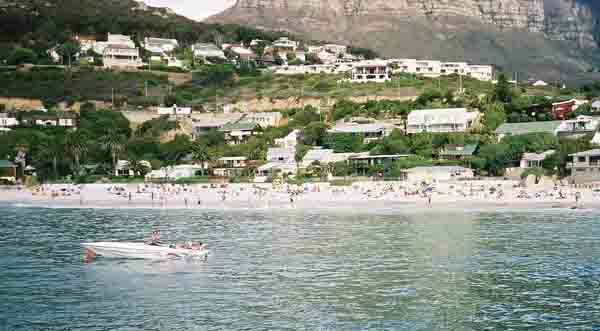 We've reached Clifton and are now sailing where the rich anchor their boats on weekends to enjoy the view and entertain their friends. 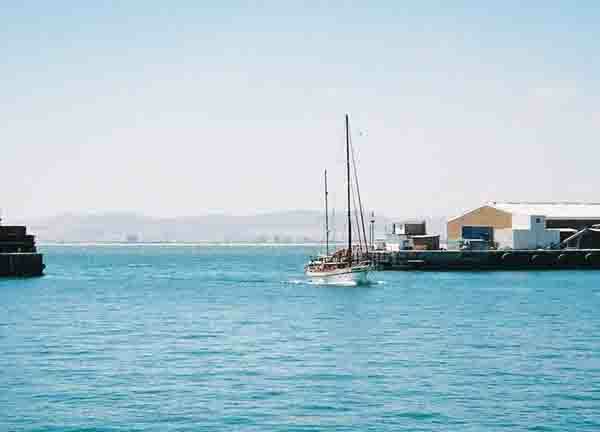 In the foreground one of the many boats that anchor in the bay. 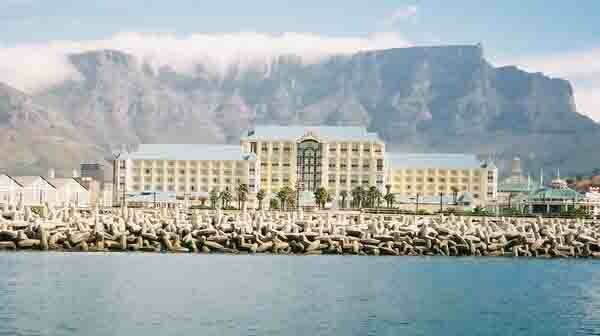 Mandela Gateway to Robben Island where all the ferries to the island depart from. 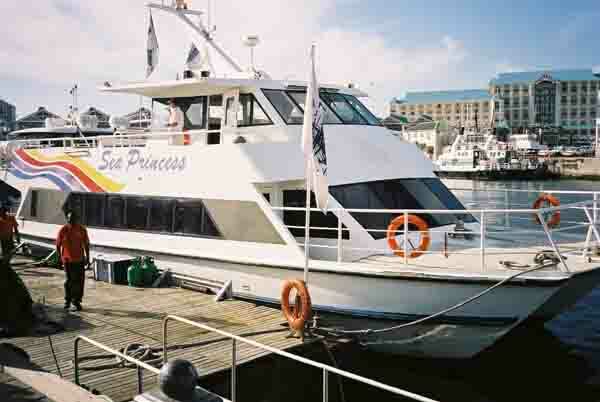 The Sea Princess back at its dock in the Waterfront. 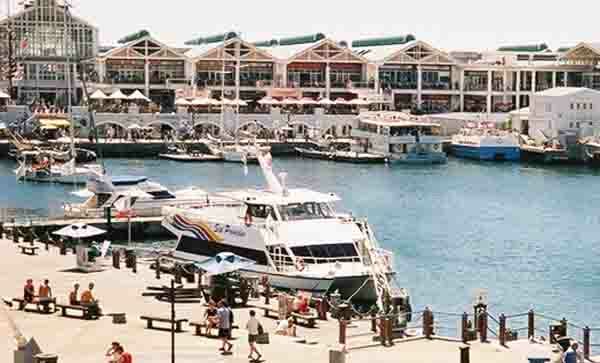 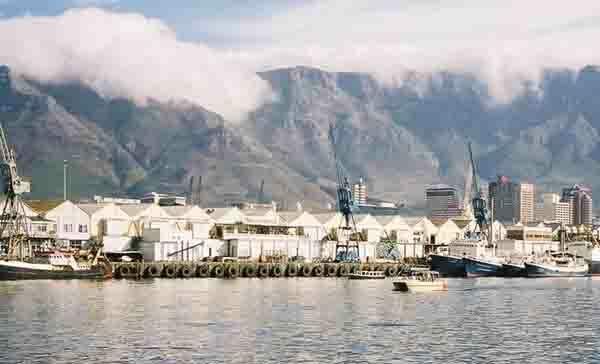 There are many short cruises in and around the harbour in Cape Town. 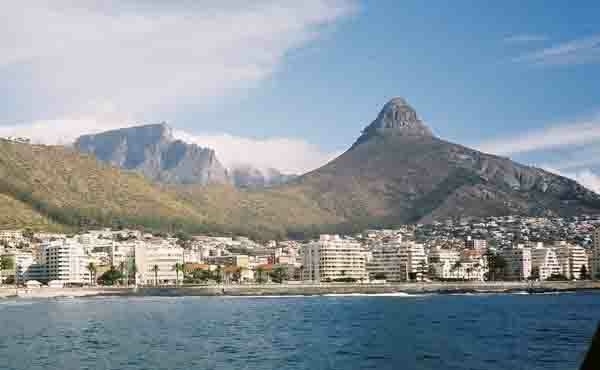 They are reaonably priced and you can get to see some of the spectacular views I have shown you for yourself.